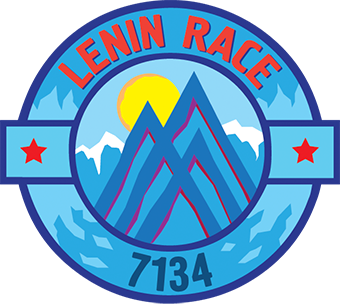 The Skyrace® competition starts in base camp “Achik Tash” located at the altitude of 3600 m, over Puteshestvennikov (Travelers) Pass (4100 m) to Camp 1 (4400m) and finishes in base camp “Achik Tash”. The skyrunning is open to all athletes who are over the age of 18 years. The result of participant is defined from the start point till finish. The start and finish are located in ”Achik Tash”Base Camp. Participants who have reached the finish without any assistance and returned to the start point not later than 2pm of the start day are considered to have completed the race successfully. The check points of the race will be discussed separetely. In case of control time exceeding the participant will be recommended to go down to the base camp. Any kind of transport or additional help use are strictly prohibited. Each participant should be aware of the risk he/she undertakes while the race. Each participant undertakes the responsibility for his/her health condition and safety. The operator of the race provide first medical aid where necessary. The Organizers of the competition check the route and provide the belaying where necessary.